Gold companies have been tipped as a standout long-term investment amid the global markets collapse. Experts warn that's despite government regulations which are choking development of Russia's reserves, the world's second largest. In a crisis individuals and governments see gold as a haven. The price has jumped 13% in a month to top $900 an ounce. With Russian gold firms trading on some of the world's cheapest price to earnings ratios after the stock markets collapse, Tim McCutcheon, Partner at DBM Capital, singles them out as the best long-term investments around. Experts warn that's DESPITE government rules killing the geese that lay the golden eggs. Six months after President Medvedev required foreign miners to be vetted by a special commission, not a single international deal's been passed. Mining firms were already spooked by some of the world's most complex procedures to get exploration rights. 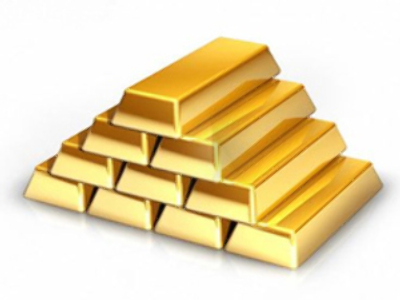 Russia's Central Bank says the gold reserves in its vaults will continue to bail out the economy. Peter Hambro, Chairman of Peter Hambro Mining warns that discouraging exploration threatens that supply. Some of Russia's exploration laws have been made more complex than Soviet ones, a key reason why Russia's number two in reserves but only sixth in production. Natural Resources Minister Yuri Trutnev and other top officials have insisted to Business Today the system works perfectly well.